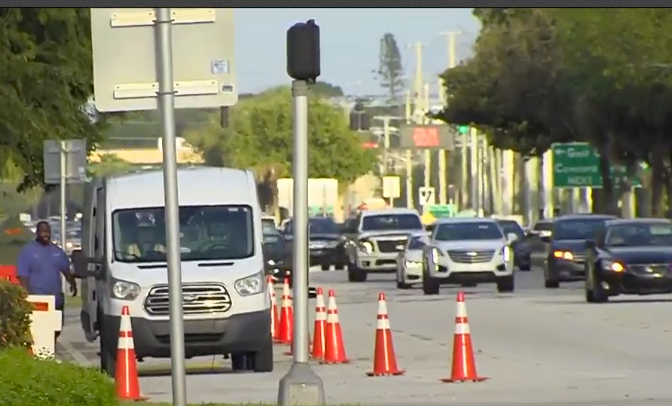 PALM BEACH COUNTY, Fla. — A gas leak has been contained in suburban Boca Raton, according to officials. Fire Rescue officials were on the scene in the 8700 block of Glades Road. Workers digging in the area struck a large gas line, Palm Beach County Fire Rescue says. Glades Road was temporarily shut down both east and westbound from Lyons Road to the Florida Turnpike. That stretch of road has reopened.